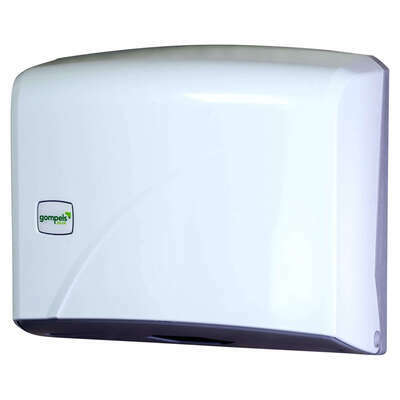 Suitable for wall mounting in any bathroom or kitchen, our Z Fold Paper Towel Dispenser Bright White securely holds your z-fold paper away from moisture. The ABS plastic construction is durable and can be easily cleaned with disinfectant wipes to maintain your cross-contamination prevention program. Easy to load with its hinged opening, with a serrated edge that easily tears the paper. This functional dispenser is compatible with our Z Fold Pure Paper Hand Towels White and Spare Key for Dispenser A Type.